Thanksgiving is quickly approaching and my preparation list has begun. One thing I’ll be making again is my cranberry sauce. I only make it once a year and love every bite of this sweet-tart sauce. The orange and apple juice combine so nicely with the sweet-tart cranberries I just had to share my recipe once again. It’s especially tasty on sandwiches with leftover turkey. In a medium pot, over medium heat combine the cranberries, apple juice, sucanant and zest and juice from the entire orange. Fill the tea steeper with cloves, all spice and cinnamon. Any combination of the amounts you prefer. Bring to a simmer for 20 minutes, stirring occasionally. After 20 minutes most of the cranberries should have opened up. Add the cornstarch mixture and cook for 1-2 more minutes to thicken. Serve the cranberry sauce warm or chill it in the fridge. We have never had cranberry sauce at our Thanksgiving. I do like dishes with cranberries in them that I have had elsewehere though. I agree there needs to be a little sweet to balance out the tart, so this recipe sounds really good! I have never made cranberry sauce. I hate at admit but my family always uses the canned cranberries. I grew up eating them so I don’t know any different i guess. This sounds just delicious though! I love homemade cranberry sauce! Your looks delicious! Can I ask what sucanat is? Sucanat stands for sugar cane natural. It’s sugar is the most natural form. Sucanat still has some molasses flavor to it so you could actually substitute brown sugar for it or white sugar. 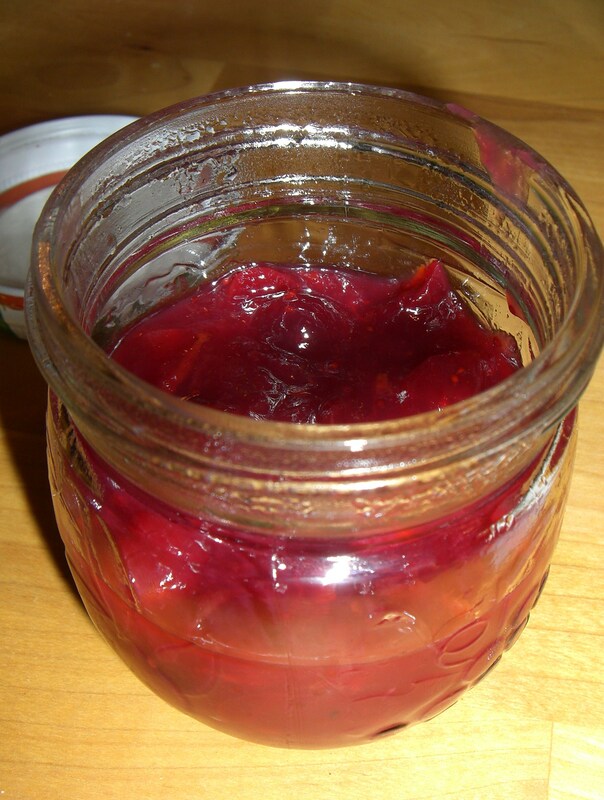 Cranberry sauce looks great! We did about 25 of your burpees blast challenge as part of our workout today. They were killers, haha!! Loved it! I like how you put apple cider in this cranberry sauce. YUM! !